capacitor leaks too much current, shortening the battery life. By using the ceramic caps, the overall standby current is only a few microamps. The circuit uses two Schmitt trigger inverters from Toshiba. The two inverters are configured in an alternating latching circuit. With each activation of the pushbutton switch, the circuit either latches or unlatches the dual coil latching relay from Panasonic. 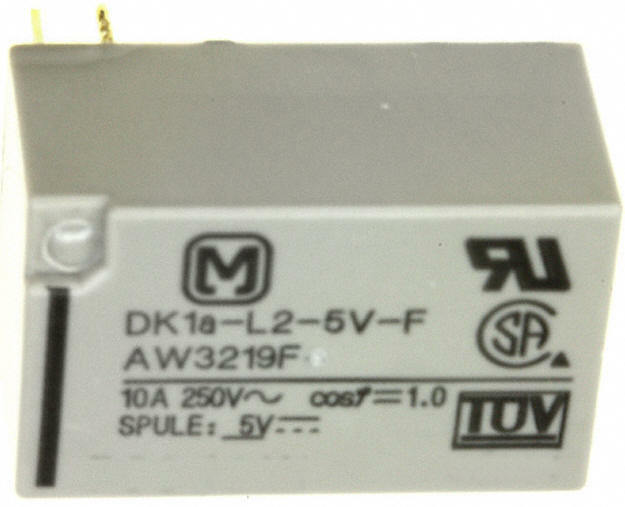 The relay is quite efficient, only requiring a 25ms pulse to either latch the 10 Amp contacts open or close. The batteries should last at least 5 years.